Specially for a pond there are UV lights or UV-C lights, which will many harmful organisms, like algae, by ultraviolet light. Using a UV-C filter pond water is passed through a lamp, which radiates ultraviolet light. The water is as it were sterilised and floating algae, germs and moulds are killed. This yields crystal clear water and a healthy pond environment for fish and plants. The UV-C part of the light spectrum will damage the DNA of micro-organisms, so that they will not increase. Already in 1910 drinking water was purified with UV-C technique. Many pond filters are equipped with a UV-C unit in the first filter phase. 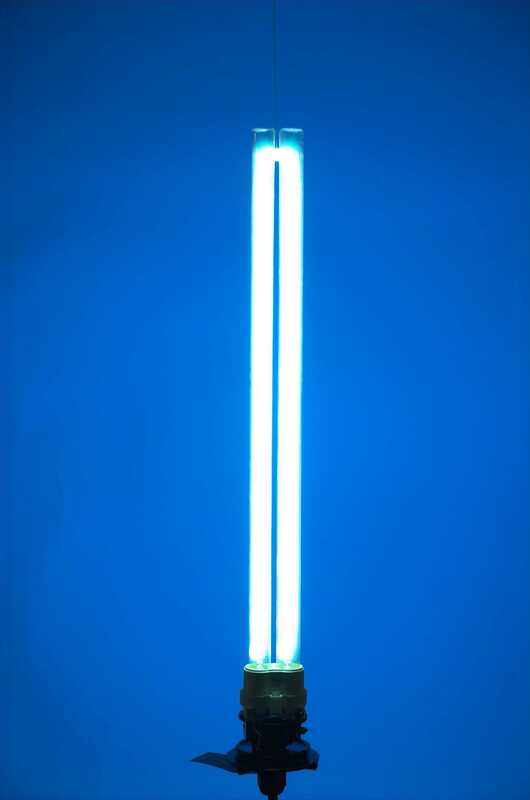 In this instance UV light can not get into contact with micro-organisms in the biological filter. Opt for a UV lamp with circuit breaker to avoid contact with the radiation which is harmful for eyes and skin. If you replace your UV-C lights annually, you can be sure of its optimum operation during the whole pond season. Floating algae make pond water turn green. Then you can not see anything anymore of the fascinating underwater life. Especially in newly installed ponds with water that is rich in food they develop like lightning. A nasty consequence is that the growth of oxygen plants will stagnate. Thus the water continues to be green. A lasting solution for green turbid pond water is a UV filter with UV lights. This system guarantees that not only koi and fish ponds but also swimming ponds and mirror ponds will remain clear.